Frans Eemil Sillanpää was born on the 16th of September, 1888, at Ylä-Satakunta in the Hämeenkyrö Parish of Finland on a desolate croft of the same name. The cottage had been built by his parents, his father Frans Henrik Henriksson, who had moved there some ten years before from Kauvatsa in the Kumo Valley, and his mother, Loviisa Vilhelmiina Iisaksdotter, whose family had lived in the Hämeenkyrö Parish from times immemorial. Sillanpää’s parents had experienced all the trials and tribulations common to generations of settlers in those parts of Finland. Frosts had killed their seeds, farm animals had perished, and the farmer’s children, too, had died, until only Frans Eemil, the youngest of the offspring, was left. There was only a mobile school for the farm children, and it was purely by accident – young Sillanpää’s life was to abound in accidents – that the crofter’s son, who was regarded as a bright lad, came to attend a regular school where he displayed a real aptitude for learning. Some idealists decided that nothing less than a secondary school at Tampere would do and, after giving the matter some thought, old Sillanpää consented to send his son away. For five years, Sillanpää’s parents pinched and scraped to keep their son in school, after which he supported himself for another three years and, in 1908, matriculated with good marks. This was a time in Finland when a promising young man could study almost indefinitely on borrowed money, and young Sillanpää was not slow to avail himself of this miscarriage of educational zeal. He plunged into learning and his studies were as chaotic as they were long drawn-out. He did, however, choose biology as his basic subject and worked hard in the laboratory, cutting up things, studying them under the microscope, and drawing what he saw until, one fine day, he woke up to find that five years had gone by; his examination day was still far off and the kind old gentlemen who had been lending him money were not prepared to do so any longer. He scraped together enough cash to return to his home, where he found his father and mother poorer than ever. He lived in their hut and shared their meals, which could hardly excite a gourmet’s palate. His student days were over, his amorous escapades a thing of the past, but at least it was easy enough for him to start from nothing. Sillanpää acquired at a nearby village shop some stationary of the type favoured by village lads for private correspondence and wrote a short story, which he sent to the editor of a large city paper without much hope of seeing it published. To use an expression popular in those days, the story must have been written with his heart’s blood because, after a very short time, it appeared on the front page of the aforesaid paper and its author received a very handsome letter from the editor’s secretary, as well as his fee, which was more than welcome. The story had been published under a pen name but the literary world of Helsinki soon discovered the identity of the author and the erstwhile eternal scholar found himself, to his amazement, receiving letters of extravagant praise. After several more of his stories had been published in the same paper, something very unusual happened. He was approached by a wellknown publisher who asked to be borne in mind should Sillanpää’s literary output stretch to a whole book. The publisher went so far as to offer him a reasonable advance to enable him to work in peace. Yet another wonder – one of a series – occurred at that time. At an unimportant village dance, Sillanpää met a shy seventeen-year-old girl who, insisting that she could not dance, sat far at the back of the dance hall. In spite of her resistance, Sillanpää dragged her out onto the dance floor to discover that she could dance after all, which she proceeded to do with the utmost seriousness and concentration. This was the beginning of a twenty-five-year saga, during which Sigrid Maria (for such was the name of the seventeen-year-old girl) bore Sillanpää eight children, one of whom died. Mrs. Sillanpää died on an April morning in 1939. In early November, the widower who, six months earlier, had been in deep mourning, was standing before the mayor of Helsinki being asked if he would take Anna Armia von Hertzen to be his wedded wife, to love her, and so on. To this, Sillanpää replied with obvious eagerness, nor was Anna Armia’s «yes» a timid whisper. 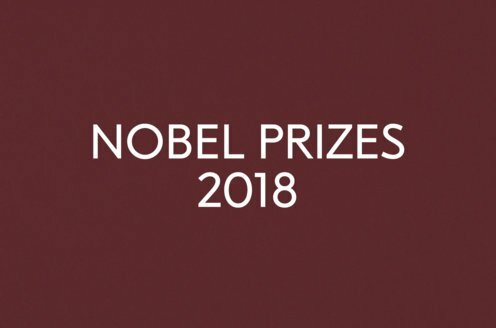 Some days before a telegram had come from the Secretary of the Swedish Academy telling Sillanpää that he had been awarded the Nobel Prize in Literature. A new point had been reached in the long series of wonderful events with which Sillanpää’s life has been punctuated. As for the changes which may have occurred in it since that memorable event, they are, historically speaking, too recent to be worth recording. May his autobiography, therefore, end with this red-letter day. It should perhaps be added that, in 1936, the University of Helsinki conferred on Sillanpää an honorary doctorate. After 1939, Sillanpää (1880-1964) wrote the novels Elokuu (1944) [August] and Ihmiselon ihanuus ja kurjuus (1945) [The Loveliness and Wretchedness of Human Life]. An account of his life, Poika eli elämäänsä [The Boy Lived His Life], based mainly on the Finnish radio broadcasts of his memoirs, was published in 1953. A collection of his political and social essays and his travel accounts came out in 1956 under the title Päivä korkeimmillaan [Day at its Highest]. Sillanpää’s family name was Koskinen and was later changed to Sillanpää. His collected works were published in twelve volumes between 1932 and 1948. 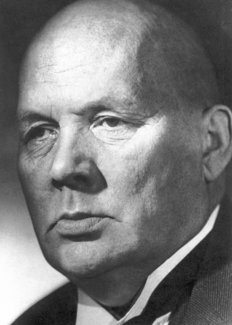 Frans Eemil Sillanpää died on June 3, 1964.